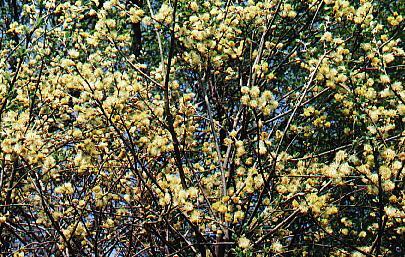 The Goat Willow is so-called because goats enjoy eating it. This is a native of Culm. 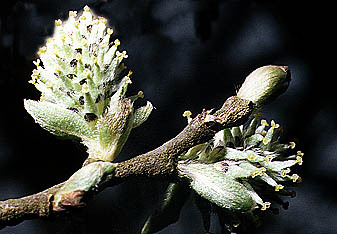 Pictured right are some male flowers. 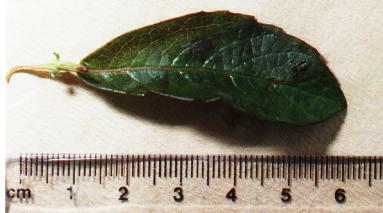 The leaves are about 5 cm in length. 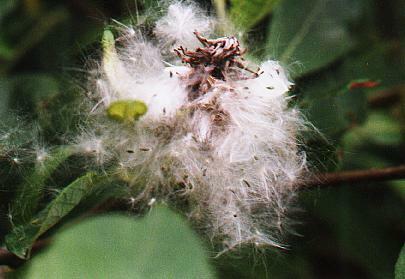 In Autumn the seed can be seen on the trees like bunches of cotton wool. As soon as there is a wind they blow around all over the place. 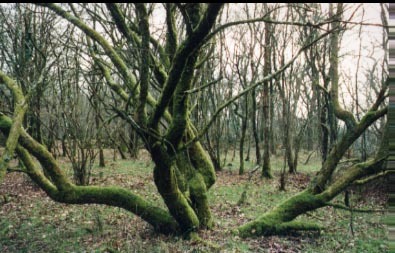 In the winter it effectively acts as a canvas for all the mosses and lichens.